I am hosting an online Natural Spring Cleaning Class this week that I wanted to invite you to. 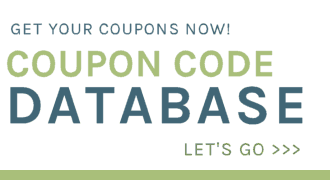 In this class, I will break down some of the misleading information out there and give you alternative all-natural recipes you can feel confident using at an affordable price! As I have continued to learn more and more about the toxic ingredients included in our household products, I find myself looking for different ways to keep my home cleaning and smelling fresh without the junky chemical ingredients that so many of us are realizing are really bad for our health. As the world becomes more aware of what is and isn’t healthy, “all natural” and “toxin-free” products are becoming more and more popular. But are those products really safe? 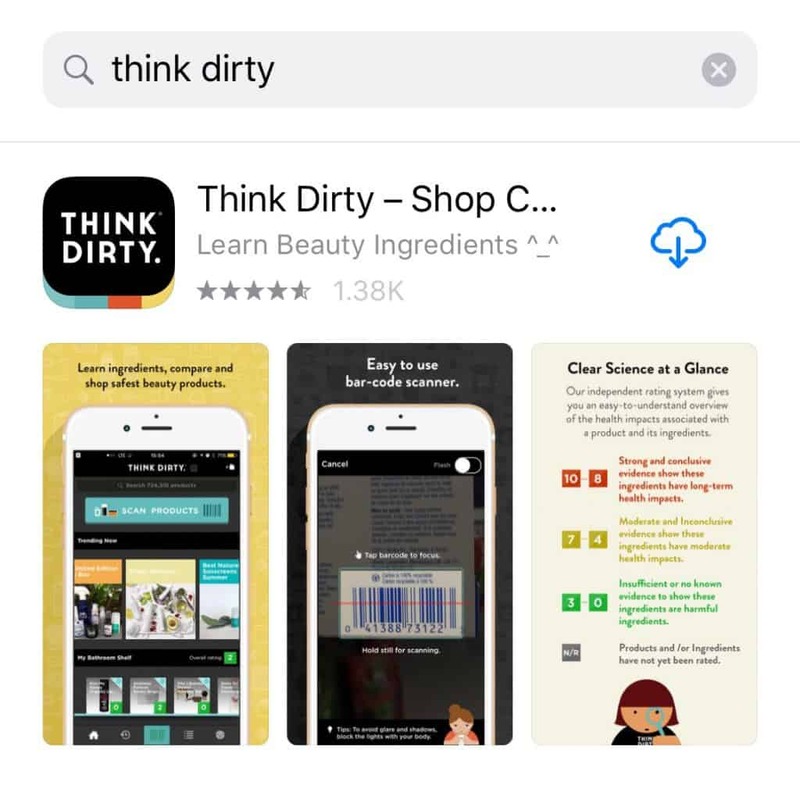 If you have some time I suggest that you go to your app store and download the app called “Think Dirty.” Sign in and let it take you through the tutorial on how to use the app. I will have you use it throughout class to get more entries for the mystery GIVEAWAY! 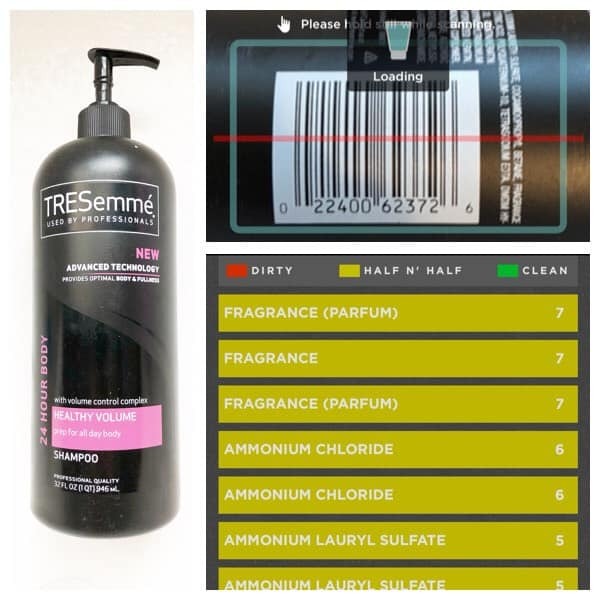 The Think Dirty app is an application you can use to scan products and see how they rate in terms of safety. If anything rates a six or higher, I don’t touch it with a ten foot pole. If it rates between a 3-5, I check out the ingredients that are making it rate that high and also look them up on the The Environmental Working Group website to see why that ingredient is given a higher rating. If that ingredient is the LAST ingredient listed on the product label, I know there is only a small amount in the product. Then I make my own judgment call on whether I want to use the product or not. Products rated 1-2 are completely safe and are my top picks. If that feels uber time-consuming, it is a great idea to find a company that has your health in mind and is committed to producing products that are safe and effective. Let’s chat about one of the number one things we ALL use for a clean home: household cleaners. 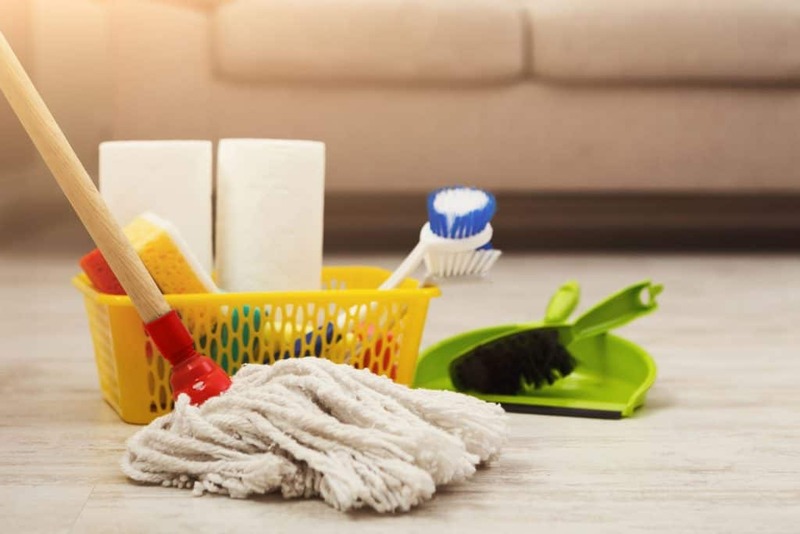 The Environmental Working Group, a non-profit organization focused on environment and public health, recently came out with their Cleaners Hall of Shame list. The list includes common products you use to clean your home. These products contain ingredients containing carcinogens, asthma instigators, and poisons, which mean some sparkly cleaners might come at a high price. Here is a snapshot of the list’s number one offender, Simple Green. 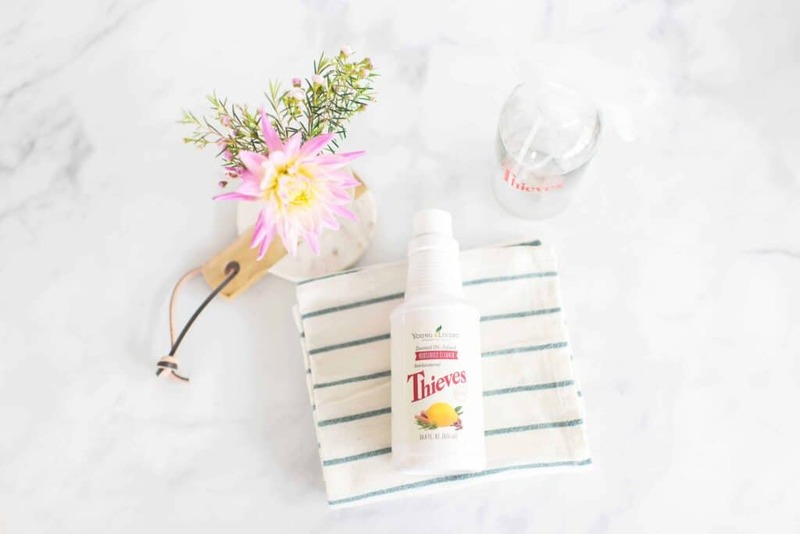 Thieves cleaner does NOT contain those big bad Phthalates. 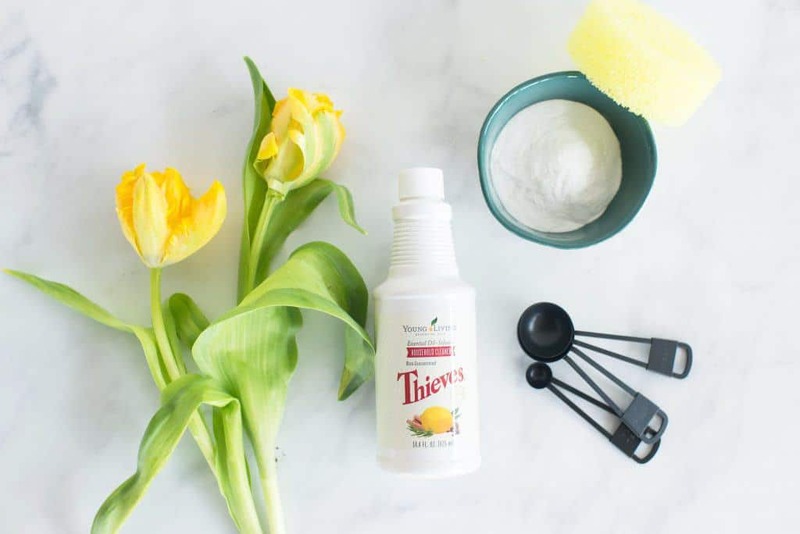 Instead of Phthalates, Thieves Cleaner by Young Living contains two different sulfates that are derived from coconut oil and sugar. It can be used on many different surfaces: counters, bathrooms, floors, toys, clothes, carpet, mirrors, windows, and more. This cleaner is also insanely cost effective, which was super important to me since I am all about saving money wherever I can! 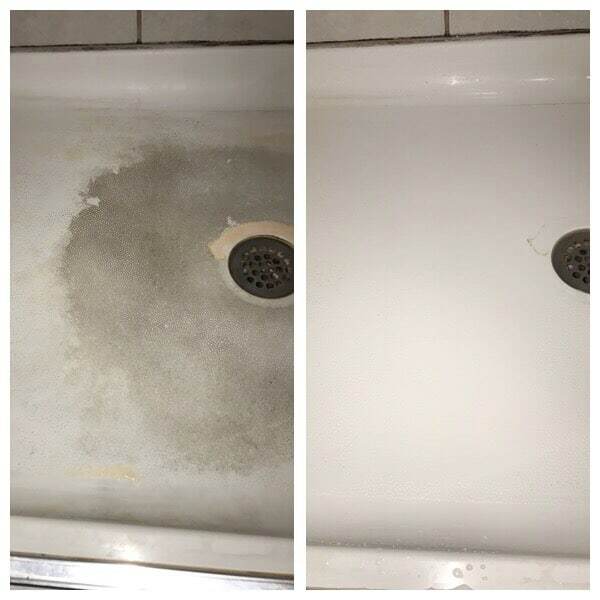 It is highly concentrated so you only need about a capful of this all-purpose cleaner in about one cup of water. With this ratio, one small bottle will yield you about 29 – 16 oz spray bottles of safe all-purpose cleaner. That means it’s under $1 for one spray bottle. Can’t beat that price! Time to switch all your household cleaners for the Thieves all-purpose cleaner. Living above the wellness line and saving money at the same time. Double bonus! I’ll be sharing some of the ways that you can use this one bottle of cleaner and a few other common household ingredients to make your own low cost, highly effective cleaners that won’t cause any harm to you or your family. Join the Natural Spring Cleaning Class to learn all my favorite DIY cleaner recipes.